Finished the first draft about a week ago. Strange having free time from it after spending the last year either planning the trip, living the trip or writing about the trip. The final tally (before the editors get at it) is 222 pages and 136,500 words. It’s still got some flaws but overall I’m happy with the result and I think its something anyone who who’s interesting in Texas and/or high school football will enjoy. I’m giving it to the editors on Thursday. They say they’ll have it for 4 or 5 weeks. Then I’ll start shopping for a publisher. Below is one of the first things I wrote for the book about a year ago, think it makes some good points, but I decided that it pulled to far away from the Texas focus on the book. Texas in itself just proved to be too interesting and the comparison component of the book wasn’t as necessary as I’d envisioned. Hope you enjoy the short piece. Bishop Gorman High School is a Catholic school in Las Vegas with around 1200 students. Until the last five years they fit very well with public school athletics in Nevada. The school was in a rundown neighborhood just east of the Strip, the facilities were nothing special; there was no football stadium on campus, and Gorman played home games at various schools around Las Vegas. They had up and down years winning a few state championships, but also finishing in the middle of the pack other years. This changed in 2007 when Gorman moved to a new campus in the suburbs west of town. The new campus had outstanding athletic facilities including a football stadium that holds 5000 fans. At the same time Gorman further separated itself from the surrounding schools by paying their coaches a living wage and giving them teaching schedules that allowed them to focus on their teams. While the facilities and coaching support might be seen as pretty typical in the Texas AA or AAA, in Nevada, this commitment to support athletics put Gorman head and shoulders above every school in the state. The school quickly became a magnet for talented athletes from around Las Vegas who wanted to be part of a program that clearly valued athletics more than its neighbors. The investment has paid off in a huge way; Gorman has now won the past four state football championships, six straight state baseball championships, and three of the last five championships in boys’ basketball. Not only are they winning, but Gorman has risen to a level where Nevada public schools simply can’t compete. In football, schools have threatened to forfeit rather than play against Gorman. How can a public school coach, who must teach five classes; often unrelated to his coaching duties, who has to worry about fundraising for the basic necessities, who has to recruit assistant coaches to work long hours for almost no pay, may have to line his own fields, has to make sure his players are eligible and may not have any regular offseason contact with his team, compete with an institution like Gorman that gives its coach the tools, resources, and support staff needed to run a quality program? Nevada’s high school sport governing body, the Nevada Interscholastic Athletic Association, is considering barring Gorman from AAAA competition. In a petty and obvious attempt to punish Gorman, the NIAA passed over Gorman to play in the annual game between Nevada’s big school football champion and the champion from Arizona. In a statement, NIAA president Ed Bonine declared Palo Verde, a school that didn’t even make the state finals, a “better fit” to play in this game against a preseason top-20 school and state champion from Arizona. It is clear something needs to be done to better balance the competitive level in Nevada. The public schools in Las Vegas and the rest of Nevada simply can’t compete with the resources and energy Gorman is putting into athletic success. The Las Vegas area coaches are right in not wanting to put their kids at risk by lining them up against a team like Gorman. But what exactly has Gorman done wrong? If Bishop Gorman simply decided to fund and support athletics better than the rest of the state then they aren’t to blame for anything. There is nothing wrong with trying to put the best team you can on the field. 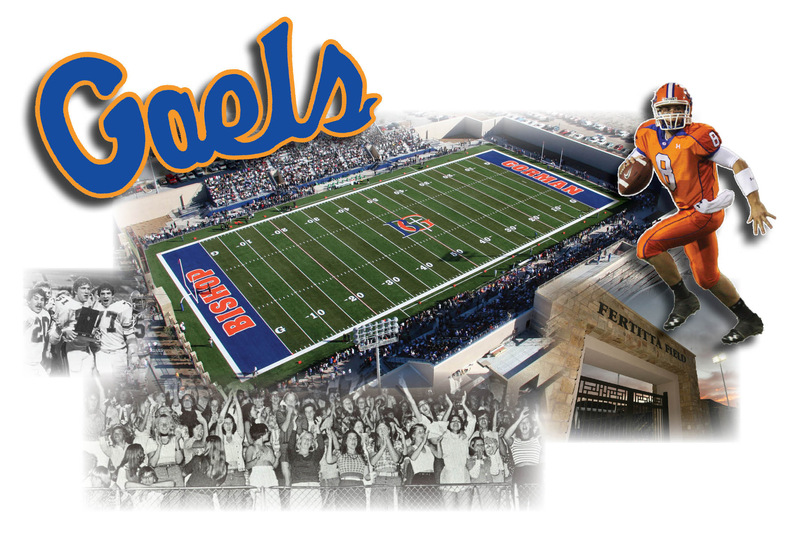 Opponents claim Gorman is actively recruiting the entire city of Las Vegas. Something public schools are forbidden from doing. They also allege Gorman is offering scholarships to entice the best athletes in Las Vegas to transfer. Gorman hasn’t helped matters any by threatening lawsuits, demanding league schools play them rather than forfeit mismatches and failing to recognize the playing field slanted in their favor even exists. For someone who has been on the wrong side of too many unequal matchups, it’s hard to feel too sorry for Gorman or see them as an innocent victim. It’s an ugly situation all the way around. On one side, poorly supported and funded public schools whining about unfairness while increasingly slashing budgets for their already neglected programs. On the other side, Gorman, with every advantage, playing the persecution card because others have tired of being their doormat. The kids and coaches are the ones caught in the middle, doing the best they can without the resources to compete at an elite level. There’s plenty of blame to go around. Gorman is taking advantage of their private school status that allows them different guidelines. The Nevada public education system does not support athletics correctly and offers mediocre programs. In Nevada, as in much of the country, athletics are on the chopping block whenever there is a budget issue. This has resulted in poorly supported programs that can’t compete with a school that puts their money where their mouth is and actually supports athletics rather than just pretends to. Why shouldn’t a great athlete in Las Vegas want to play for Gorman rather than at a school who really only cares about standardized test results? And why shouldn’t Gorman try to be as good as they can on the athletic field? The real solution to the problem Gorman represents is not to demonize them for pursuing excellence but to raise the bar of Nevada public school athletics. Give the public schools the resources to compete and athletes will be more likely to stay in their neighborhood schools rather than transfer. This is much easier said than done. As long as Nevada elects governors who make their reputations by cutting “waste” from the education system and as long as Nevada voters go along with it the problem will be very difficult to solve. As long as school effectiveness is measured only by graduation rates and test results, there’s no reason for any school administrator to go out on a limb and push for quality athletics. The first step is to recognize extracurricular subjects such as football are not “waste” but a valuable part of education. Texas coaches are very worried about this type of scenario playing out in their state if private schools are ever allowed into the UIL. While private school inclusion may undermine public education to some degree, the excellent quality of public school extra-curricular programs will keep anything like what’s happened in Southern Nevada from happening in Texas, in the short run. Serious football players will always want to play against the best competition, in the best facilities and for the best coaches. In many states, that means transferring to private schools, In Texas, the public school will have a big edge for the foreseeable future. As a public school guy, I’m hoping this is always the case.